What Uganda lacks in volume (it’s about the same size as Oregon or Cambodia) it more than makes up with variety, an incredible array of landscapes that range from the snowcapped Mountains of the Moon and the Bwindi Impenetrable Forest, to the semi-desert northeast and water-spangled lake district. Home to 13 different primate species, Kibale National Park is one of the best places in Africa to see chimpanzees in the wild. Murchison Falls National Park is flush with hippo, crocodile and other animals that live in or near the water. The holy grail of Uganda wildlife-watching is Bwindi Forest, which can only be accessed on foot, where roughly half of the world’s mountain gorillas reside. All the itineraries on our website is just ideas of what is possible. After consulting with you we will plan your obligation-free itinerary according to your budget and individual needs . Contact us today to start planning your dream adventure to Africa. Area : Uganda is a landlocked country in East Africa with a diverse landscape encompassing the snow-capped Rwenzori Mountains and immense Lake Victoria. Its abundant wildlife includes endangered gorillas and chimpanzees as well as rare birds. Remote Bwindi Impenetrable National Park is a famous mountain gorilla sanctuary, while Murchison Falls National Park in the northwest is known for its 43m-ta waterfall and wildlife such as hippos. Climate : Uganda has a tropical climate, with temperatures ranging from 21-25°C (70- 77°F), apart from in the mountainous areas, which are much cooler; the top of Mount Elgon is often covered with snow. The hottest months are December to February. Evenings can feel chilly after the heat of the day with temperatures around 12- 16ºC (54-61°F). Most regions of Uganda, apart from the dry area in the north, have an annual rainfall of between 1,000mm and 2,000mm. There is heavy rain between March and May and between October and November, when road travel can become difficult in parts of the country. 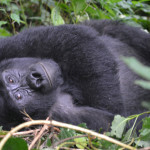 Gorilla Trekking: the best time to visit Uganda for gorilla trekking is during the country’s two dry seasons: January and February and from June to September. Game viewing in Uganda’s savannah parks is best at the end of the dry seasons – February and March and September/early October – when wildlife is concentrated around water sources. Bird watching is fantastic all year round but is at its peak between November and April when migrant species are present. Avoid during the heavy rains of April and May. Uganda’s International Airports : All flights from outside the country only have safe landing at Entebbe International Airport (EBB) which is the only international airport in the country. Some airstrips frequently used by travelers in the country include; Arua Airstrip, Moyo Airstrip, and Kololo Airstrip, usually for business. For tourism purposes, the airstrips that have been developed for easy connection to the different destinations in the country include; Apoka, Pakuba, Bugungu, Kasese, Mweya, Kihihi, Kayonza and Kisoro. Getting to Uganda : From outside East Africa, Uganda can be accessed by either road or Air and mostly by Air to Entebbe Airport. Water transport can also be used to travel in and around our destinations especially the ferry crossing from the Southern part of Murchison Falls National Park to the Northern part of Murchison Falls National Park. There are Launch cruises to the bottom of the falls in Murchison Falls National Park and along the Kazinga channel in Queen Elizabeth National Park. Ssese islands are also easily accessed by water from either Nakiwogo or Bukakata. Some business people use the ferry to travel to Kisumu in Kenya and Mwanza in Tanzania. Bwindi Impenetrable National Park : – home of half the world’s population of endangered Mountain Gorillas as well as being one of the most biologically diverse areas on earth. Queen Elizabeth National Park : Uganda’s most popular National Park and certainly one of its most scenic. 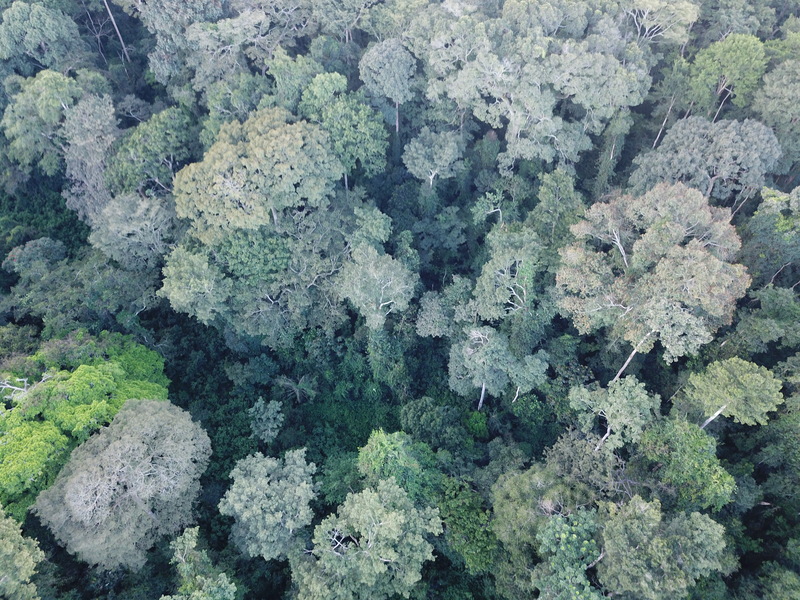 It stretches from the crater-dotted foothills of the Rwenzori ranges in the north, along the shores of Lake Edward to the remote Ishasha River in the South, incorporating a wide variety of habitats that range from wetlands and savannah to lowland forest. The lush savannah of Queen Elizabeth National Park offers prime grazing to buffaloes, elephants, various antelopes and a variety of over 600 bird species. Kibale National Park : – another home to a vast number of species of birds as well as the greatest variety and concentration of primates found anywhere in East Africa. Chimpanzee tracking is the major activity, with bird watching, forest walking and game viewing enjoyed over an expanse of beautiful crater lakes lying between Fort Portal and Kibale Forest. Lake Mburo National Park : – known as the ‘Home for Zebras’. The park’s well developed Acacia woodland harbors a number of wildlife species and it is the best place in the country to see the gigantic eland antelope, as well as topi, impala and several acacia-associated birds. Lake Mburo is the largest of the five lakes found in the park, all of which attract hippos, crocodiles and a variety of water birds, while the swamps hide sitatunga antelope. Kidepo Valley National Park : Kidepo ranks among Africa’s finest wildernesses. From Apoka, in the heart of the national park, a savanna landscape extends in all directions, far beyond the gazetted area, towards horizons outlined by distant mountain ranges. The park has a semi-arid climate with just one rainy season per year (April-September) and rainfall is light. The valley of the Narus River in the south of the park receives some 890mm of rain/year while just 635mm of rain/year falls in the Kidepo River valley to the north. Both rivers are seasonal, and dwindle and disappear in the dry season. During these months, the only permanent water in the park is found in wetlands and remnant pools along the southern Narus valley near Apoka and as a result, wildlife is concentrated in this area. This consideration, combined with the valley’s open, savanna habitat, makes it the park’s prime game viewing location. Indeed it is possible to sight a good variety of wildlife simply by scanning the valley with binoculars from the comfort of the Apoka lodge. Kampala : – the capital city of Uganda is located in the central region on the shores of Lake Victoria. The city has many attractions, destinations and tourists activities ranging from events to prime time venues, restaurants and hotels. It is often referred to as East Africa’s happiest city. Ssese Islands, Lake Victoria : The 84 forested islands of the Ssese Group float like green jewels on the waters of lake Victoria, located 55km from Entebbe. These are one of Uganda’s greatest natural gifts awaiting your discovery. Rwenzori Mountains National Park : – The fabled “Mountains of the Moon” in Rwenzori Mountains National Park, one of Uganda’s UNESCO heritage sites, lie in Western Uganda along the Congolese border, where the snow-covered equatorial peaks rise to a height of 5,109m and the lower slopes are blanketed in moorland and rich montane forest. Most of the park is accessible only to hikers although the magnificent scenery and 19 Albertine Rift endemics would be ample reward for Birders. Rwenzori Mountains National Park protects the eastern slopes and glacial peaks of the 120km-long Rwenzori Mountains, a world-class hiking and mountaineering destination. The Source of the Nile : – the Nile downriver from Jinja offers some superb white water rafting and game fishing. Its crowning glory, however, is Murchison Falls, where the world’s longest river funnels through a narrow fissure in the Rift Escarpment to erupt out of the other side in a crashing 43 metre plume of white water. The river below the falls is no less spectacular in its own way, with profuse birdlife, thousands of hippos, and outsized, gape-mouthed crocodiles. Mgahinga Gorilla National Park : – Uganda’s smallest and probably most scenic National Park is situated in the extreme South-Western corner of the Country, forming part of a large conservation area of about 33sq km that straddles political boundaries to include Parc de Volcanoes in Rwanda and Parc de Virungas in the Democratic Republic of Congo. 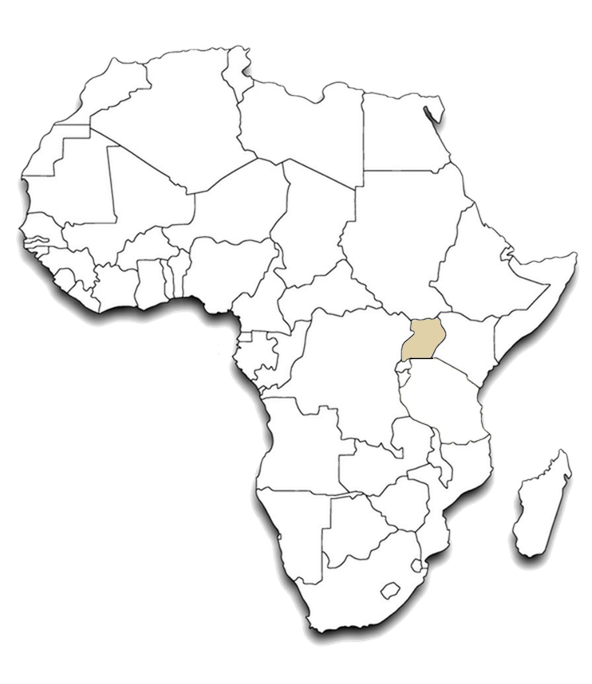 Three extinct Volcanoes, part of the spectacular Virunga range, lie within the boundaries of the Ugandan portion of this biologically rich area. Mountain gorillas form the main attraction at Mgahinga National Park, which protects the Ugandan portion of the Virungas, an imposing string of nine freestanding extinct and active volcanoes which run along the border with Rwanda and the Congo.